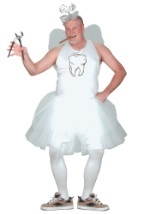 You always wondered about her when you were a child, now you can become her in this adult tooth fairy costume! It comes with a polyester corset top with shoulder straps. The front of the corset is metallic sliver and made from poly foam while the back is white polyester and lined with elastic at the top and in the middle for a comfortable fit. White lace trims the top of the corset and it laces up the front with white ribbon for closure while a white inset attached on the interior keeps you covered. Sheer blue fabric with white teeth is attached to the elastic shoulder straps and the bottom of the corset for a shell. The same material overlays the skirt, which also includes a layer of netting and a built-in white slip. The teeth shell on the corset covers the tulle petticoat attached on the outside of the skirt. The petticoat is white and short in length. The skirt has an elastic waistband for a secure fit. 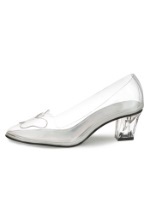 The white wings measure as tall as 35" and are worn like a backpack with clear straps. 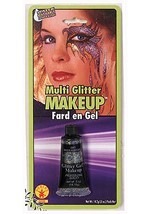 They are embellished with white glitter (please note the wings do not include pink and vary from the picture). The blue tiara is attached to a headband for comfortable wear and is lined with silver sequins. "Tooth fairy" is written in black and the entire crown is accented with white teeth and stars (please note the tiara varies from the picture). A wand with movable teeth is also included. 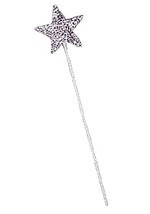 The wand is decorated with a blue bow with white hearts and a blue rhinestone. 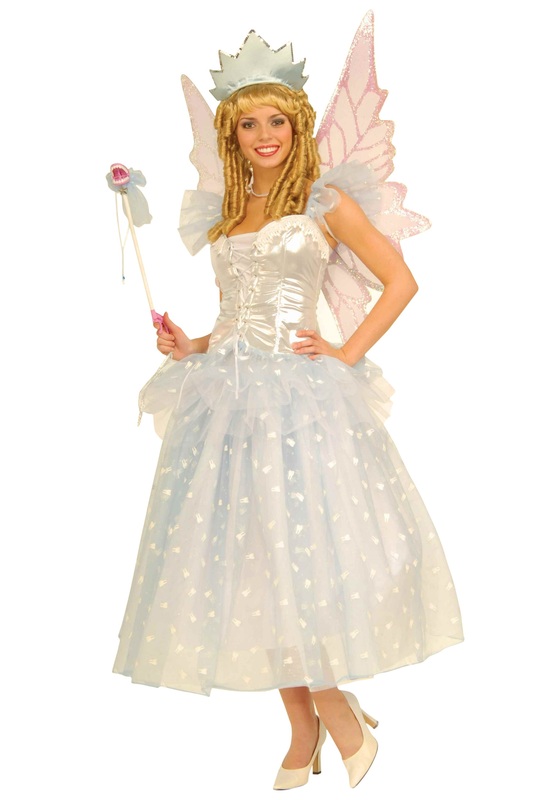 A unique fairy costume for Halloween or any dress-up event!